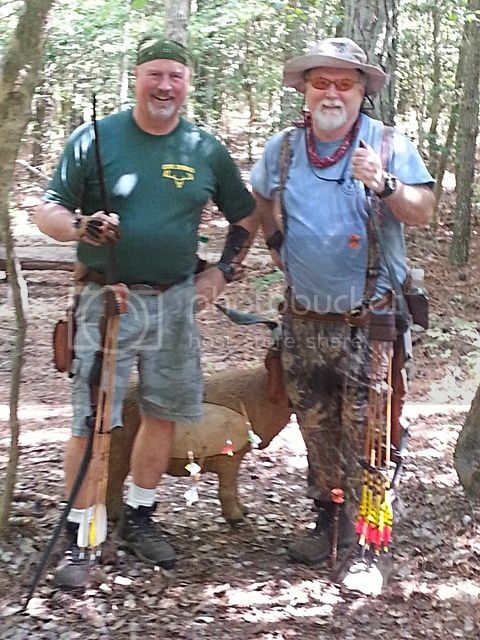 Here's my bow Brother Dan and I at the Dixie Bowmen shoot last Sat. Dan was on Target with a score of 271 out of 330. Dan also did a little coaching for Zack. It was his first 3-D. A total of 190. Not bad for using his uncles homemade hickory selfbow. Simply Awesome young man. Come back and shoot with us anytime. Indeed had a great time shooting with you guys and I am so proud of Zack, he did awesome for his first time! Thanks to Dan for helping Zack out as well! I am glad I got him into it, he's already talking about wanting a new bow! 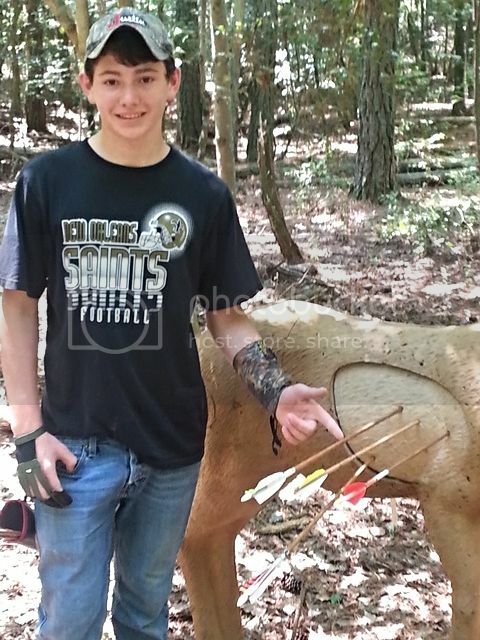 I was a little out of form that day...I blame it on the bow We have one more shoot before the 3-D season is done, hopefully Zack will want to go! I think next time I'm switching back to my ol' faithful! Guys I really enjoyed that day as well.Just happen to be a day when my bow and I were on the same page.Look forward to the next time we get-together. Also take the time to get in touch sometime and come on over.I wish you a great and successful hunting season.